There are a lot of fairy tales in Japan. 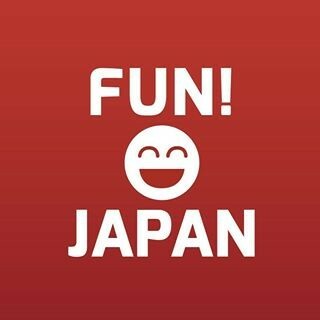 Most of Japanese really love fairy tales. Because we read so many times with parents in childhood. And the fairy tale still continues to be read from one generation to another. 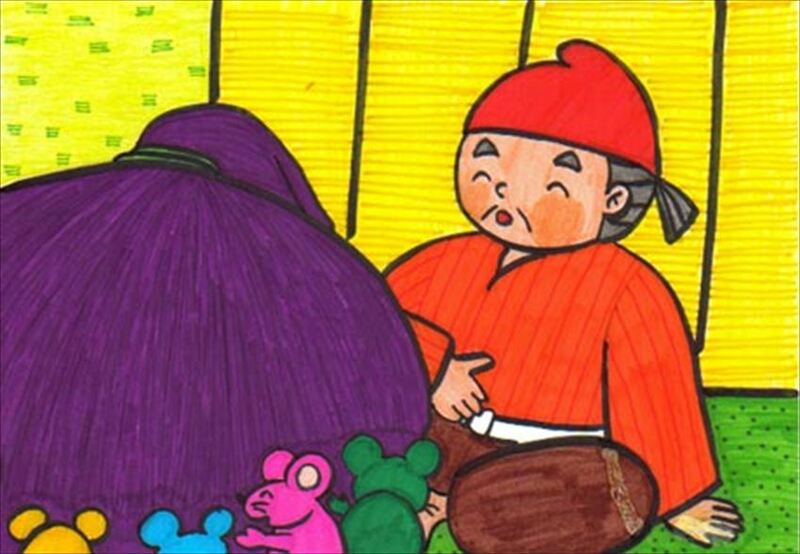 Today’s fairy story is “The Rice-ball Rolled Down”. Have you ever had rice ball?? If the rice ball drop down at lunch, we might be so sad… But in the case of this story …. 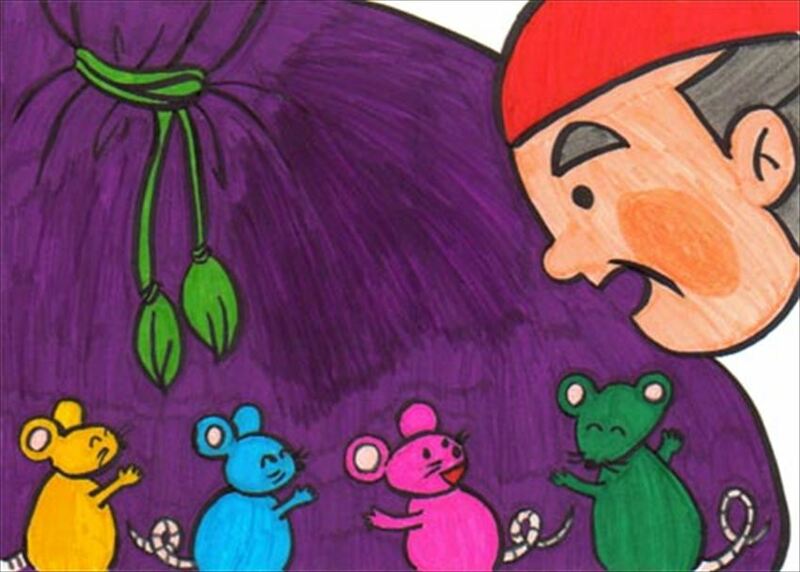 Let me share famous fairy tale with picture book. Let's try to read it. This article was produced by General Incorporated Association of International Digital E-hon. Once upon a time, there lived a very kind-hearted old man. He went to the mountain every day to cut firewood. said the old man and he opened his lunch box. As he was eating his lunch, one rice-ball fell out onto the ground. 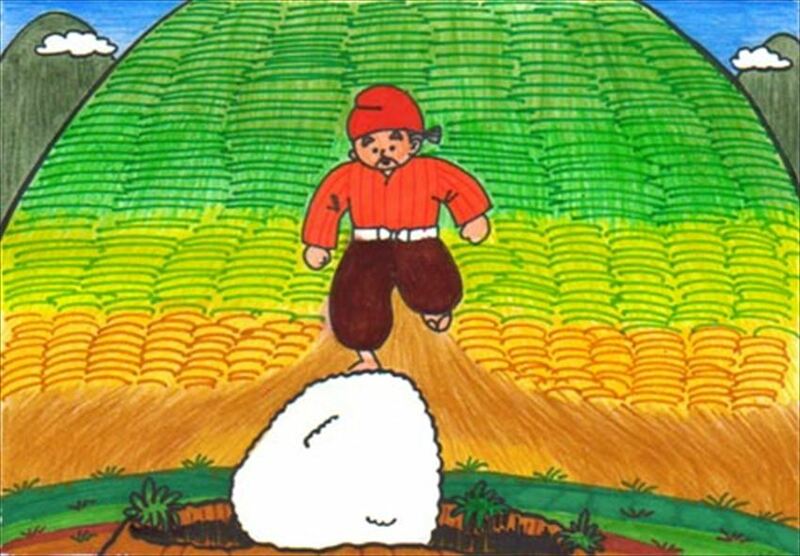 The rice-ball rolled down on the mountain slope. The old man ran after it in a hurry. 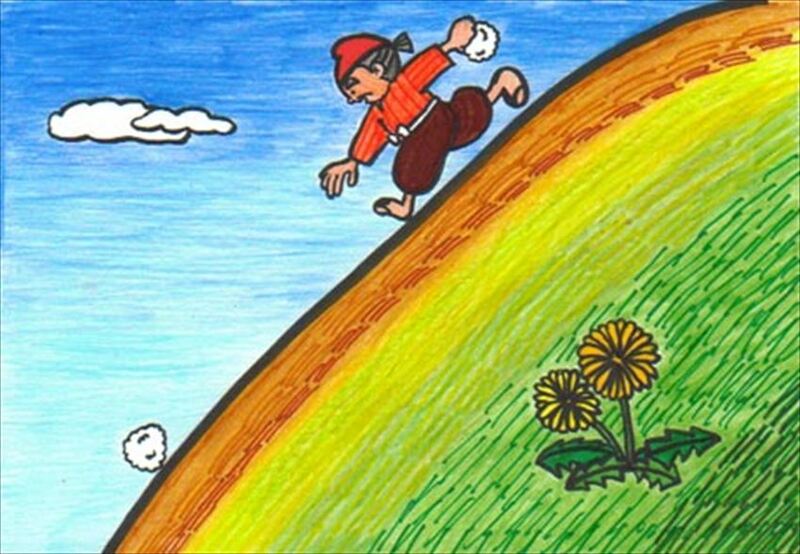 The rice-ball kept rolling down and the old man chased it with all his might. 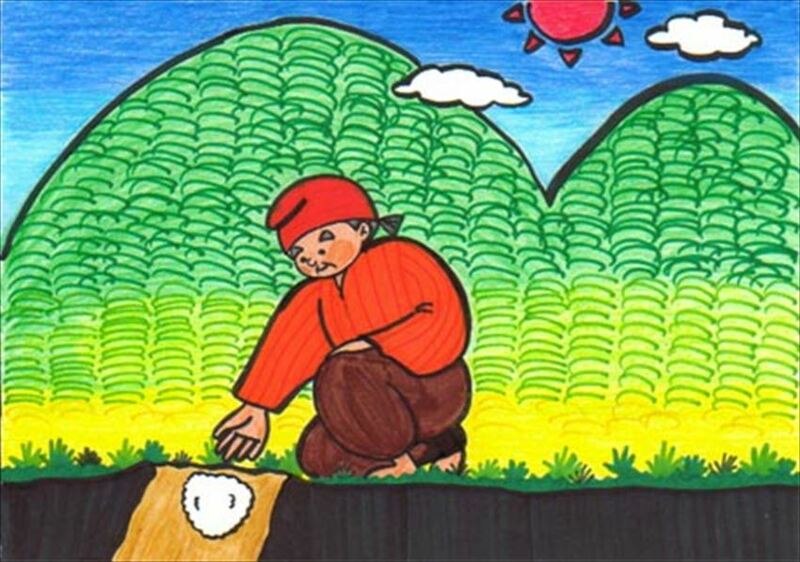 The rice- ball rolled down to the valley and finally jumped into a hole in the ground. The old man came down to the hole. He said and peered into it. Trying to peer down the hole, the old man slipped and fell into it. He just kept fallin down and down further into the hole. 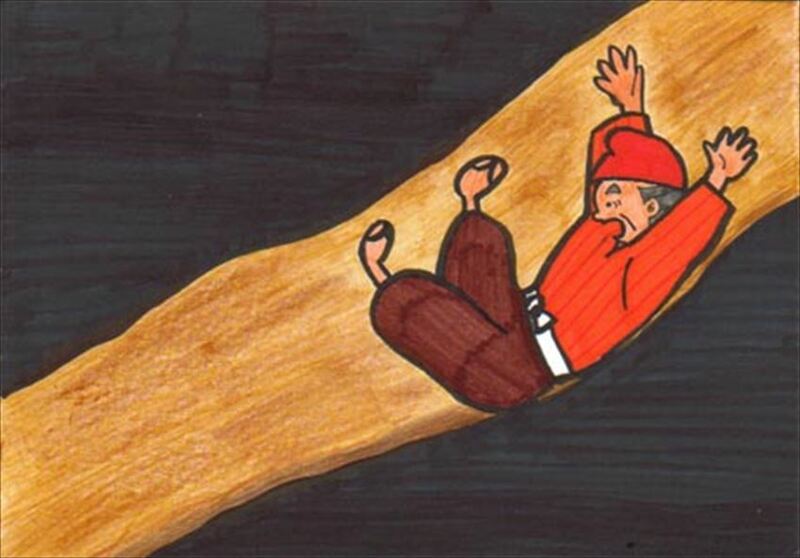 cried the old man as he hit the bottom of the hole. Looking around he found it was a mouse’s house. 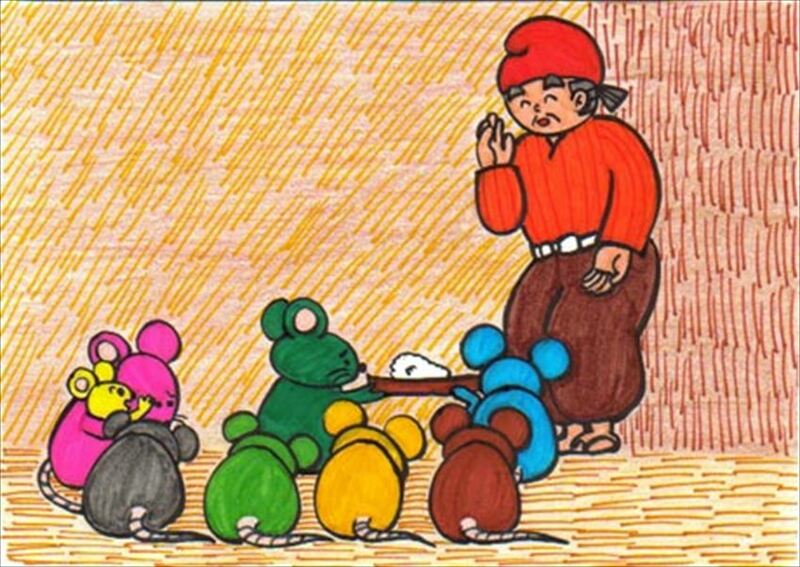 A group of mice were happily eating the old man’s rice-ball. Pleased with his kind offer, the mice finished the rice-ball up. The old man said as he left. 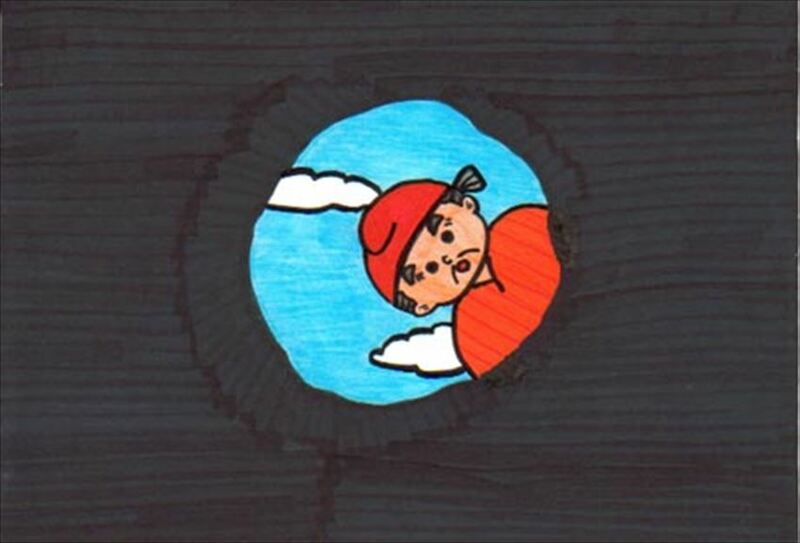 The next day at noon, the old man came back to the hole and dropped a rice-ball into the hole. He continued day after day. 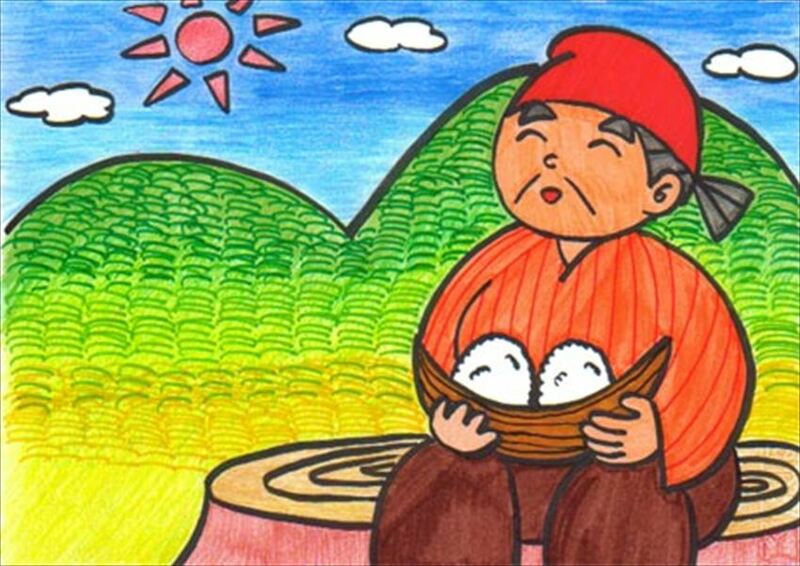 “Dear sir, thank you for bringing us the delicious rice-balls every day. The old man went down to their home, where he was treated to a lot of good food. 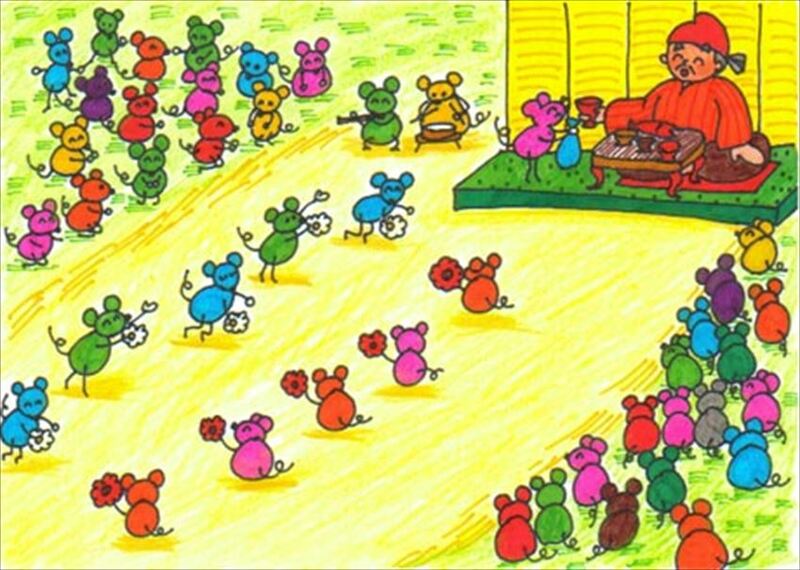 The mice also entertained the old man by singing and dancing. said the old man feeling very full. 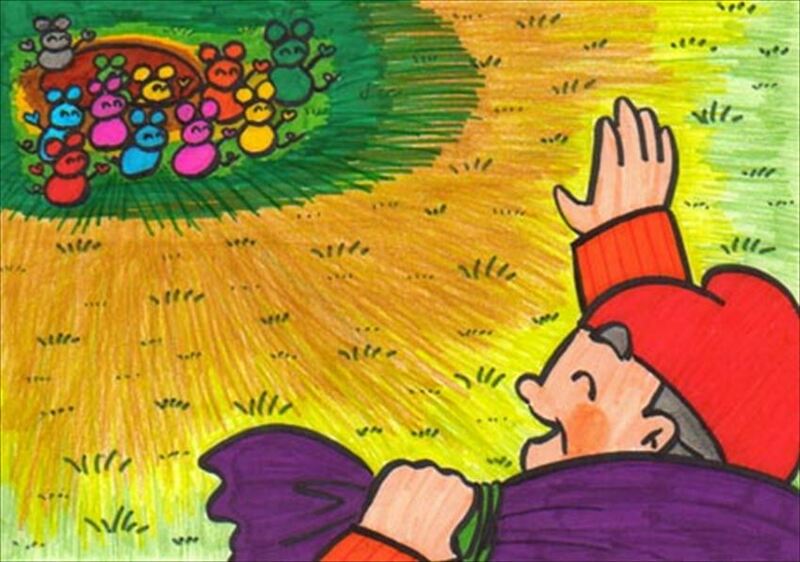 Then the mice brought a big sack to him. 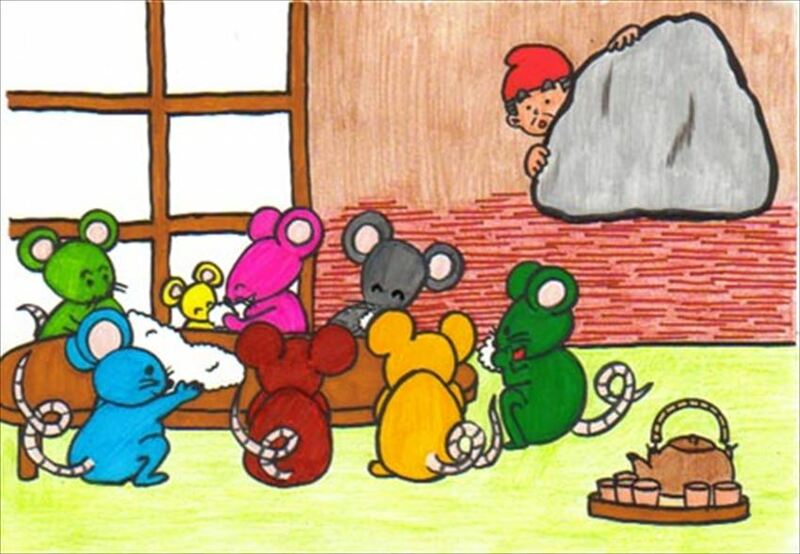 The mice said as they handed the sack to the old man. 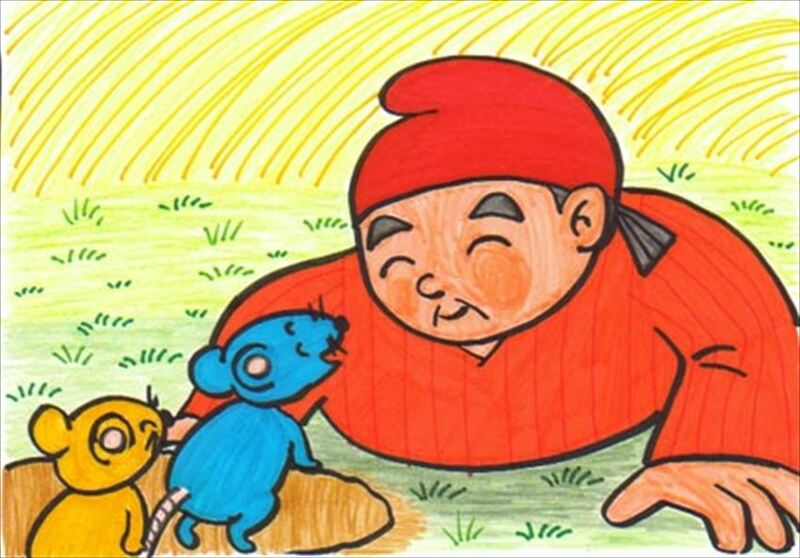 The old man thanked the mice and carried the sack home on his shoulder. 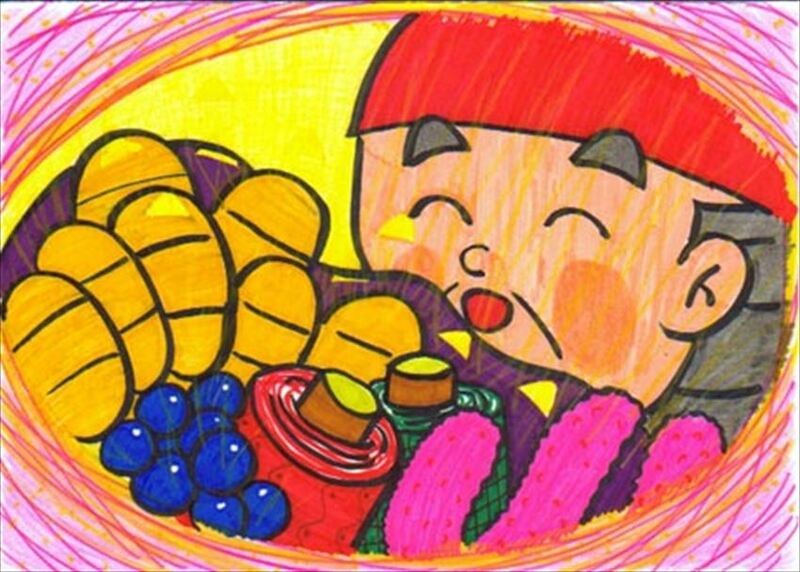 When he got home, he opened the sack and found gold coins, coral, and many other wonderful treasures in it. Thus, the old man lived happily after. 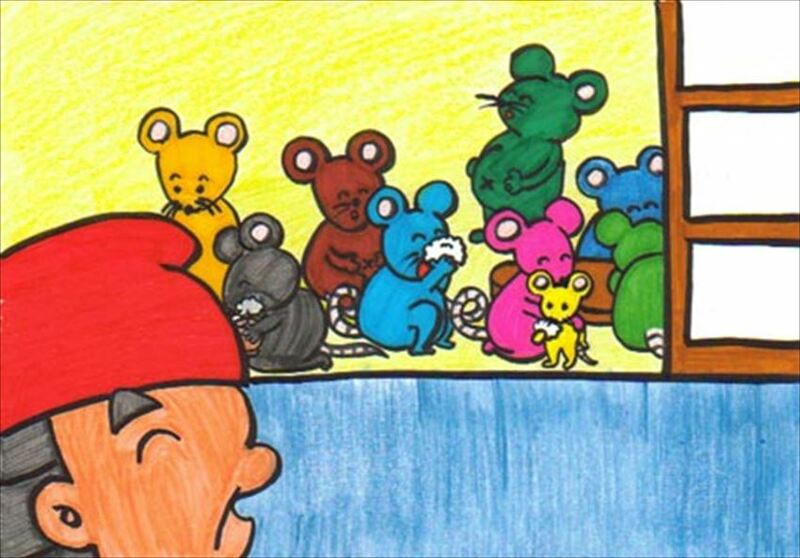 I really want to become friends with these mice!! Is there any similar story in your country? 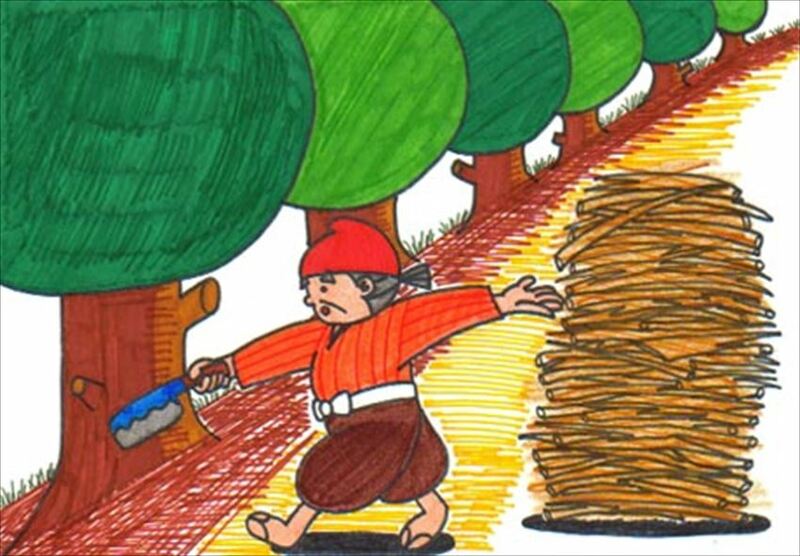 Some fairy tales were introduced by other countries and mixed with own culture. I hope that you enjoy reading famous fairy tale. What do you think of this fairy tale?